Davida goggles set only used once. 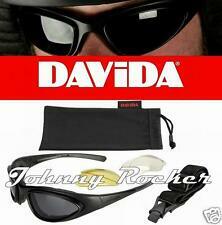 The Davida WRS74 Sunglasses or use as Goggles are excellent riding product. The lenses are anti-mist, anti scratch, the Davida D4Vi9A logo appears on the arms in a very subtle matt black and the microfiber carry case has the Davida D4Vi9A logo embroider into the label. Davida aviator goggle.the lenses are scratch free,all so included are smoked lenses as new and cloth bag. reason for sale I now have to wear glasses for driving these goggles will not fit over them. Davida Ladies size 14 Leather Jacket (This is about 40" - 42" mans size ). May have tiny marks and dust on it (just to cover myself). Motoden Limited - Please call any of our locations to arrange a test drive. - or click here to find out more. 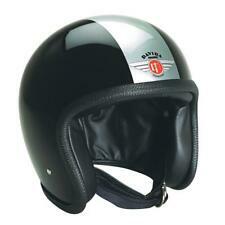 Beautifully made in England, these are superb quality helmets. Just google them to find out more. This model is the most expensive they make, at £400. It is specially designed to be less bulbous than a standard open face, but still meets all the required safety standards. The metal flake is deep and shiny. I bought it new last year but have only tried it on in the house. Comes with its original storage bag. Its a size medium, I fit Arai and Shoei medium and this fits me fine. 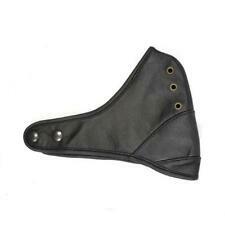 Hand stitched leather interior, very soft and supple. I would prefer collection so you can try it on, but if you want it posting I cannot accept it back if it doesn’t fit, incase it is dropped or damaged. 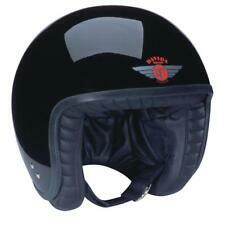 This is a brand new helmet at less than half price. Collaboration with Davida ensures excellent fitting. 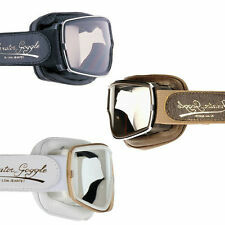 All Leon Jeantet Goggles are supplied with protective bag and fitted with clear lenses. Complete’s the classic Johnny Rocker look. The lenses darken to a dark shade of grey to match the goggle and have a scratch resistant coating as standard. If you wear glasses on a bike then this really is the best option. They are fitted with your own prescription so you don't have to struggle with glasses.